If your child needs a little taming himself then maybe it's time to give him a taste of his own medicine. 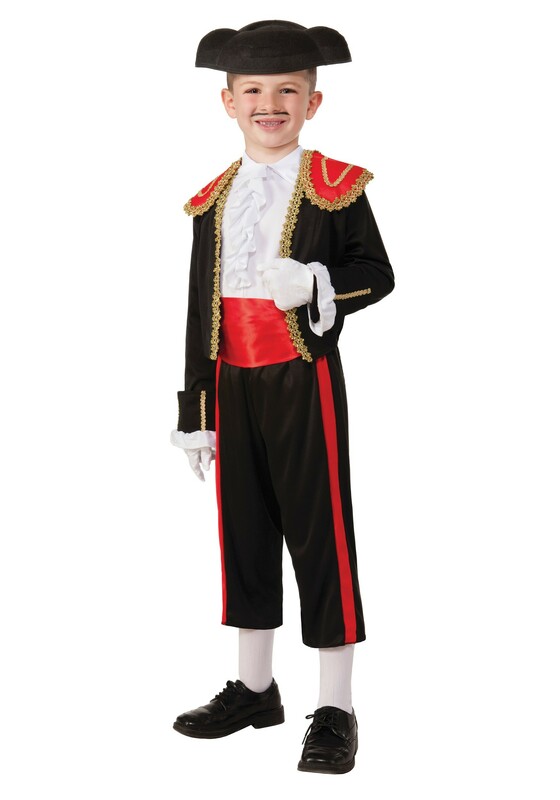 Let him become the tamer in our Boys Spanish Matador Costume! Taming bulls will be a breeze compared to taming your little wild child. Just don't forget the cape! That is however the most important element in the bullfighting experience....maybe pick up two while you're at it just in case your little guy gets too out of hand himself. Our costume is as close to the real deal as you can get, looking as if he just stepped off the Spanish streets with an authentic black and red bolero jacket with metallic gold braided trim, a ruffled white undershirt and black elastic waist pants. For an even more exciting touch on this already fun costume draw a classic mustache on your little matador, because is a matador really a matador without a mustache. We think not!